Examples of recent fauxtos. I’ve been shifting my focus away from the horizon and capturing moments in time and other places. 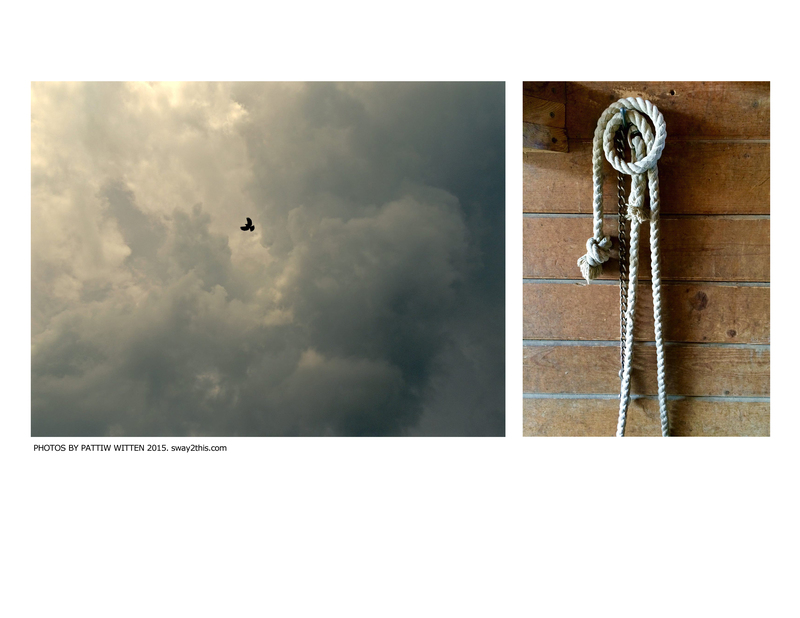 The image on the left, above, was shot directly overhead at the end of a thunderstorm in mid-afternoon of May 30, 2015, outside my home. The Red-winged Blackbird was scolding me for being too close to a nest in his territory. The other image was taken on the same day with my iPhone, at the barn in Freeville where I board my horse. The lead rope was casually coiled on the hook outside my horse’s stall, side-lit with natural light coming in through the barn doors. I love the weathered boards and colors. This entry was posted in Fauxtography and tagged fauxtography, nature photography, Patti Witten, photography, Tompkins County NY. Bookmark the permalink.